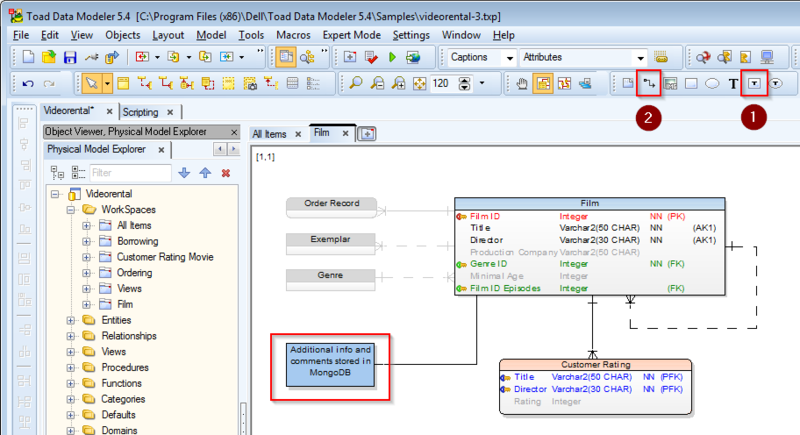 Workspaces in Toad Data Modeler can be used for splitting Entity Relationship Diagrams (ERD) to smaller parts. 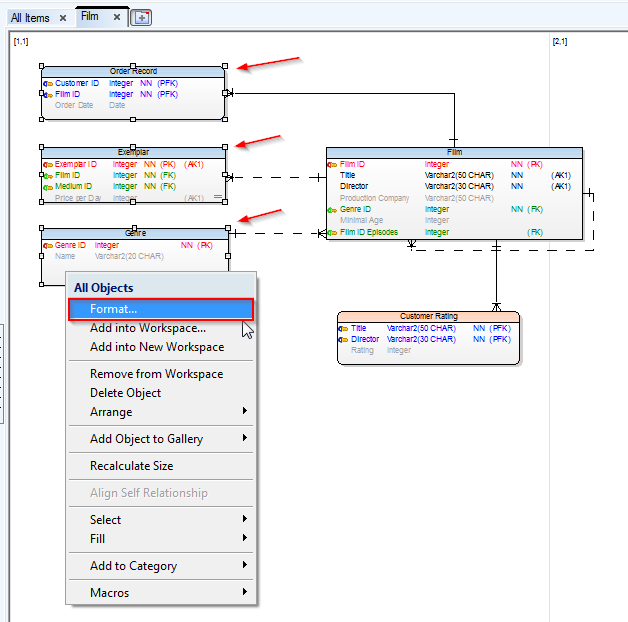 In case your model is large, it is always recommended to use workspaces to limit the amount of visualized items. When you create a new model, the All Items workspace is created automatically and all items are placed there by default. To add selected items to a new workspace, right click selected item (or any of selected items) and choose Add into New Workspace. New workspace will be created. 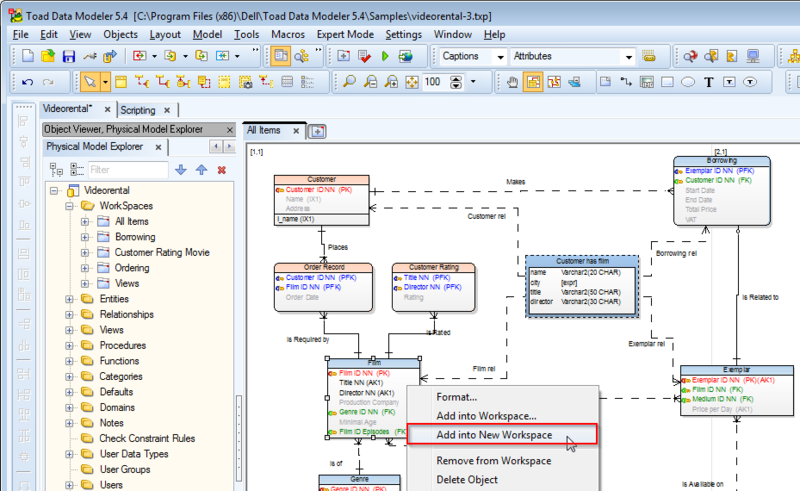 Edit the workspace and rename it or click on the name in Model Explorer, press F2 and rename it directly. If you wish to add referenced objects to the newly created workspace, right click the entity and choose Fill | Parent and Child Objects. Then manually rearrange the items or use Autolayout features to change positions of the objects on your workspace. 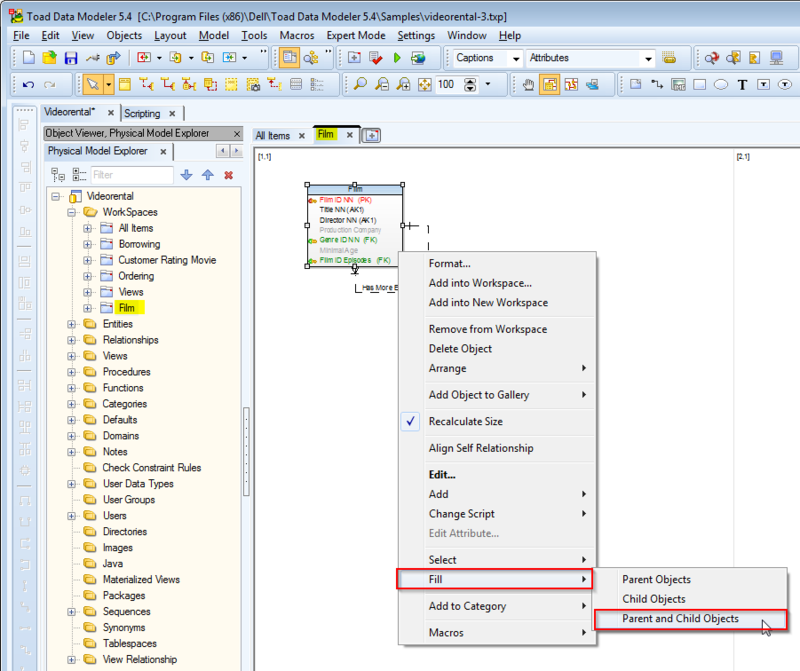 Set the Display Level to Entities and click Apply. 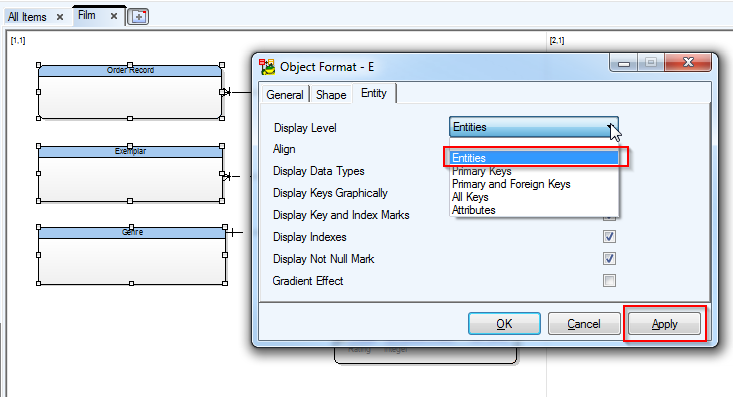 Do additional desired formatting changes and click OK. The result looks better, but additional formatting and coloring might be also a good idea. Use your mouse to select multiple objects at once. If you start at bottom, all objects you "touch" will be included in the selection. 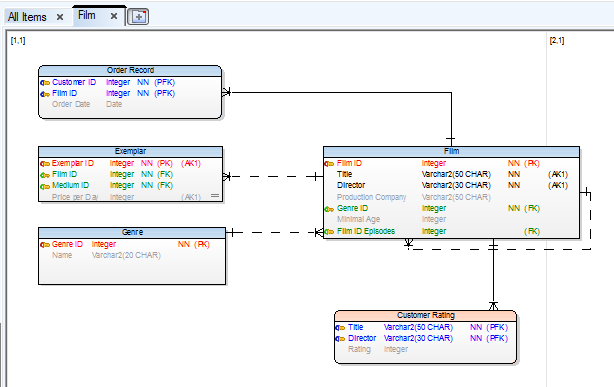 In this case, also the relationship lines will be selected. Then click the Pen Color icon on toolbar and select new color for all the selected lines. Brush Color will change the color of entities. In result, you can get grayed entities and relationships. Information about related objects is clearly visible on the workspace, but the difference in importance of the objects is also preserved. To make the workspace objects even better formatted, change the size of the objects and use the Align toolbar icons to set equal width of the selected objects, align them and so on. 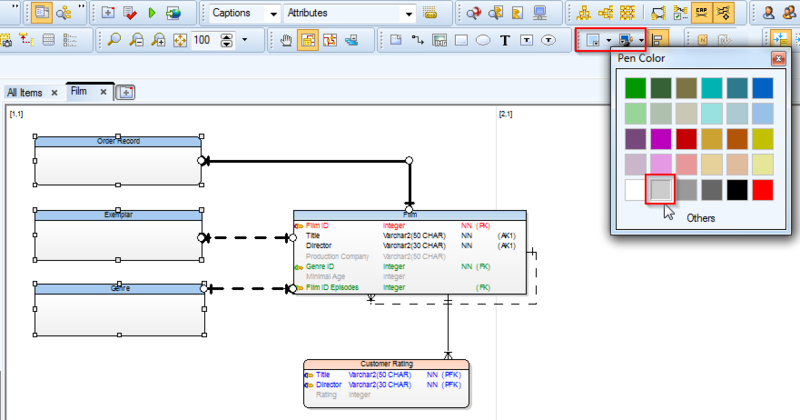 And what if you want to add a link to another model, file or database? Use additional 2D graphics or images. 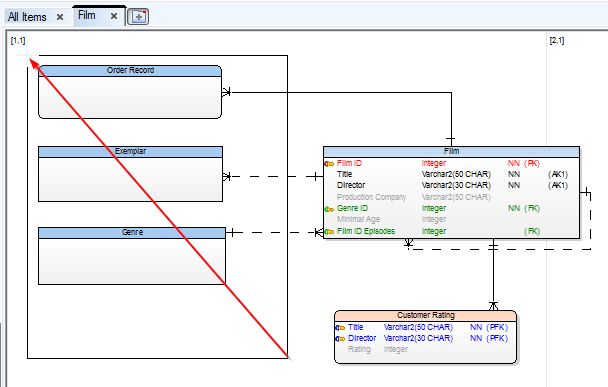 The following screenshot shows Label Quadrangle and Line added to the workspace.